One thing that separates the Mad T Party from its nighttime event predecessor, ElecTRONica, is the Mad T Party Band, a cover band that takes the main stage once every hour (or two) for a half hour performance rocking out rock hits of the 80s and pop hits of today. And while, admittedly, I prefer ElecTRONica over Mad T Party, I think the cover band is actually pretty good, all things considered. The vocalists have pretty good range, and the covers seem to get the crowd going. 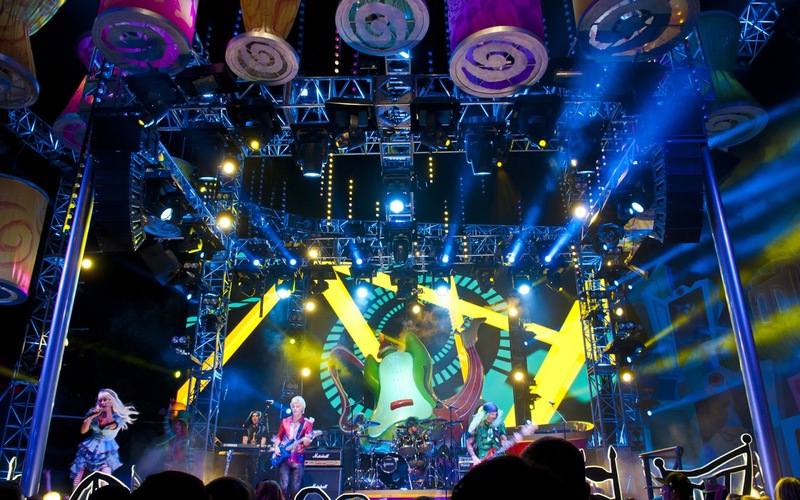 Backed up by a very impressive visual and audio system, it's an invigorating experience for those who stop by! 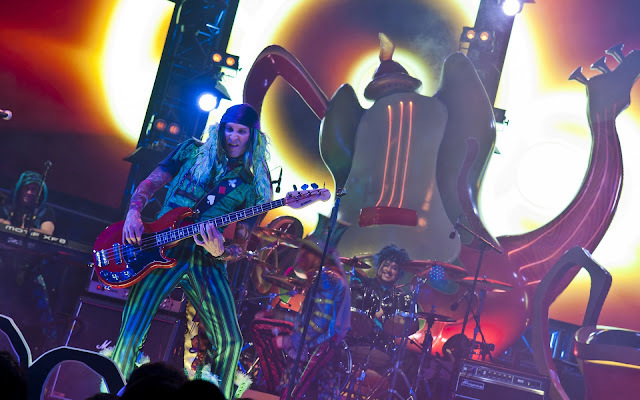 The main stage at Mad T Party comes alive with the Mad T Party Band. 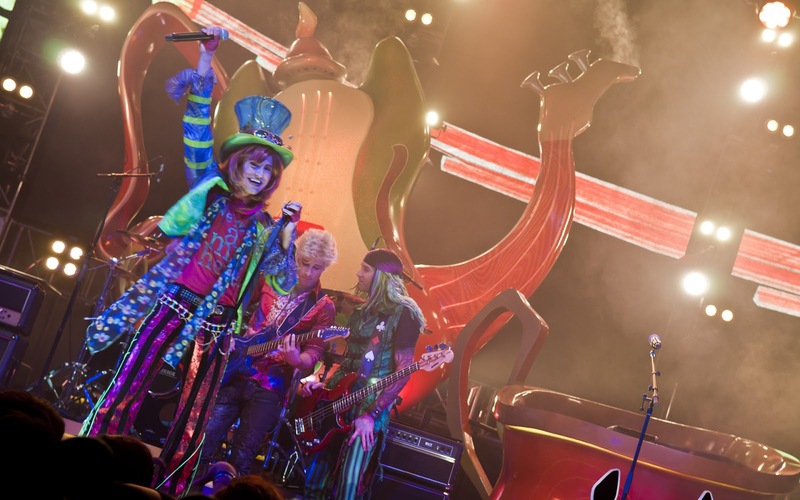 "The Mad Hatter" is the lead singer of the Mad T Party Band. The "March Hare" rips off a riff. 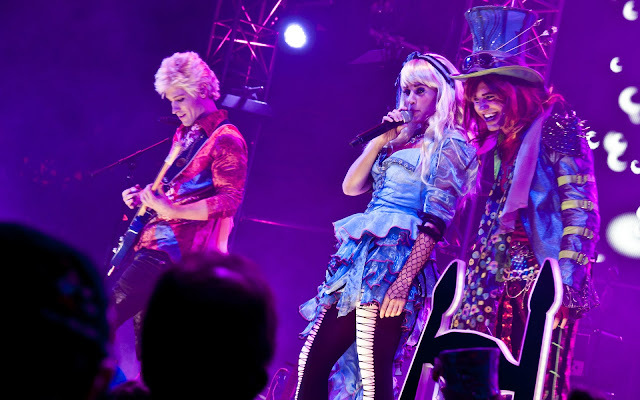 "Alice" sings a tune with the "Mad Hatter."